A federal appeals court has upheld the creation of no demonstration zones, which prohibit free speech in certain public areas. The Second Circuit Court of Appeals released a ruling yesterday upholding a lower court’s decision that also declared such zones as being permissible. The opinion was penned by Judge Dennis Jacobs on behalf of a three judge panel that included Judges Pierre Leval and Debra Ann Livingston, two of whom are Republican judges appointed by George H.W. Bush. The case surrounded an arrest that took place in 2004 when Michael Marcavage of Repent America and Steve Lefemine of Columbia Christians for Life attended the Republican National Convention in Madison Square Garden to address the large number of pro-abortion speakers at the event, including Rudy Giuliani and Arnold Schwarzenegger. According to court records, the two were standing on the public sidewalk holding signs when they were approached by police. The police officer informed the men that they could not stand in their particular location because it had been marked by officials as being a “no demonstration” zone. 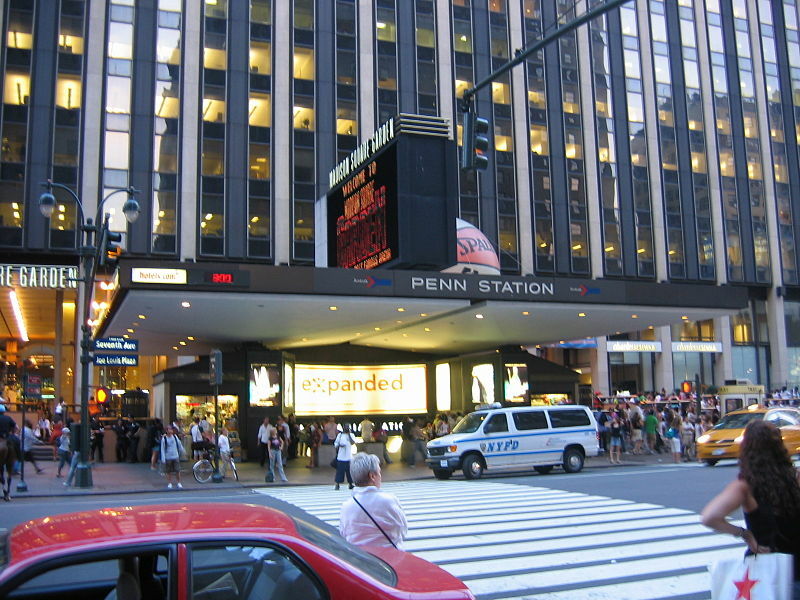 When the men asked where they could go to engage in free speech activity, the officer directed them to a free speech zone located a block away from the entrance of Madison Square Garden. The area, which police had specifically erected for demonstrations, was the only location where expressive activity was allowed to take place during the event. Individuals of varying and opposite opinions were forced to stand together in one consolidated and caged area, which included a stage with a microphone. Marcavage and Lefemine complied by walking away from the area alongside the officers and toward the zone that the NYPD had established. As they walked and were questioning the police about the purpose and reasoning behind the zones, they were placed under arrest for not relocating to the area fast enough. After being released nearly 24 hours later, Marcavage and Lefemine were both charged with disorderly conduct. The counts were later dropped as being without merit. In the legal challenge that followed, Marcavage and Lefemine asked a federal court to strike down the government’s use of free speech zones and “no demonstration” zones. However, in September 2009, the U.S. District Court for the Southern District of New York sided with the government, outlining that the free speech zone established during the Republican National Convention was an ample alternative channel of communication. Marcavage and Lefemine then filed for an appeal with the Second Circuit Court of Appeals, which upheld the lower court’s decision yesterday. Judge Jacobs claimed that since there was to be such a large number of attendees at the Republican National Convention, police had to shut down certain streets to free speech to accommodate for all of the pedestrian traffic. Marcavage contended that attendees used the entire street as a passageway since it was closed down for that purpose and that two men standing on a sidewalk could not have impeded traffic in any significant way. Additionally, he took issue with the fact that all other types of activity were allowed in the zone, except for free speech. “People were free to stand in this area and talk on their cell phones and do almost anything they wanted, but once you start engaging in free speech, the police will come and shut you down,” he explained. While the court agreed with Marcavage to an extent, it contended that the free speech zone set up by police a block away was a sufficient avenue for free expression. “In the Second Circuit, an alternative channel is adequate and therefore ample if it is within close proximity to the intended audience,” he added. However, Marcavage and Lefemine strongly disagree. They state that the free speech zone was not in a location where they could reach their intended audience, since it was a block away from the building and in the direction away from the entrance. “It is not an ample alternative channel of communication to stick people in a cage behind Madison Square Garden where no one can see you or hear you,” Marcavage declared. “I am reminded of the words of James Madison, the fourth president of the United States, who once said, ‘I believe there are more instances of the abridgment of the freedom of the people by gradual and silent encroachments of those in power, than by violent and sudden usurpations,'” Marcavage noted. He pointed to the fact that the designation of free speech zones are on the rise across America, from national events to college campuses to small towns. The City Council of Williamsburg, Virginia is currently considering establishing a free speech zone in its historic and market areas in order to keep street preachers away from crowds that are annoyed by their message. The city has received much criticism for considering the policy. Marcavage and Lefemine state that they are considering appeal options.